A few Sundays ago Michelle and I took the kids to the park. While we were there I played the guitar and we sang together. When we were done, I carried my guitar and books to the car. But I had to drop them suddenly when Cole took off in the opposite direction towards the road. I ran after Cole, caught up with him and strapped him in the carseat. Then we all took off — leaving the guitar behind! What things have you forgotten in the midst of the chaos of life? It’s just very easy to forget things sometimes. One planning tool that sounds simple and straightforward is “Payable on Death” (or POD). This is where you can leave your bank accounts to someone at your death. By filling out a form now, the bank will cut a check later to the person you named. Easy, right? But, it’s also risky. Suppose Grandma has 4 grandkids. She has 4 CD’s at the bank and decides to leave one for each grandchild using a POD. Well, as time passes, she develops dementia and another grandkid is born. In her last months, one of the CD’s is cashed in and used for medical expenses. When she dies she has 3 CD’s left but 5 grandchildren. Someone is then faced with the difficult task of telling the left out grandchildren, “Sorry, your grandmother didn’t leave anything for you in her plan. If she had a CD for you previously, it must have been spent.” Unlike with my guitar, the grandkids’ CD could not be recovered. To make matters worse, multiple POD’s can easily get out of whack later. Are there better options than using a POD? One alternative is a Living Trust. Grandma could have stated in her Living Trust (had she had one) that “each grandchild shall receive $10,000” and then the CD’s could be placed in a trust. Regardless of what happened to any specific CD, none of the grandkids would have been left out. Our FREE New Client Orientation Workshop is a great first step toward making sure you have a plan that works for your loved ones. At this 1-hour workshop you’ll learn about how we work, whether Edwards Group is right for you and the key steps in our unique process. We’ll even talk about how fees are calculated. Call us at 217-726-9200 to RSVP or get more information. There is no cost or obligation for attending! Click here for our upcoming workshop dates. Maybe she gave up a wonderful career to be a full-time mom; maybe she’s even a homeschooling mom. If something happens to her husband without good planning, she may be forced to go back to work and send the kids to full-time school/preschool. A will, a trust and plenty of life insurance will provide the protection she needs. She put her own education on hold to work full-time knowing that once he’s got the MD she can go back to school and do whatever she wants. But if her husband dies without a plan, she may be left without a breadwinner and without the education she planned to get. Add a baby to the mix, and you really have a stressful situation. The husband’s student loans die with him, but so does the income they had counted on for the future. She never worked outside the home, but she took care of (pampered, really) her husband, 3 children and now 7 grandkids. If her husband dies without a plan, she may be left with a mortgage, a car loan, horrible job prospects and a tiny social security or monthly pension. Even if they did have plenty of money, she is left with the stress of trying to sort out all the financial details, which, for their 45 years of marriage, he had always taken care of with their accountant, financial advisor, etc. Now it’s dropped in her lap, and she doesn’t know the first place to start. It’s overwhelming. In her mid-50’s, she’s doing well for herself — saving for retirement and enjoying life. Suddenly she has a stroke. Without a plan, she has nothing in place to govern who will manage her money or care for her if she becomes disabled. The hospital social worker tries to contact her nephew in Texas, but she’s not seen him for 10 years, and he knows nothing of her situation or goals. She has friends who might be willing to help, but she’s never discussed it with them. And she never took legal steps to give them the power to help. Now a difficult situation goes from bad to worse. After getting divorced, she was single for 20 years while she raised 3 kids on her own. Now, at age 70, she’s met someone and married him. She sold her house and her furniture to move into his house. After a few very happy years, she’s shocked to find him dead of a heart attack. She’s even more shocked when his kids demand that she move out of the house and threaten legal action is she doesn’t. Now she is left with finding a new place to live, buying new furniture and trying to restart her life. He had promised to take care of her, but he never took the legal steps necessary to do that. These stories are based on the real life stories of clients we help every day! And we would much rather help people on the front end of planning and avoid all the heartache that happens if planning isn’t done properly ahead of time. If you’re a woman concerned about your future, please call us at 217-726-9200 today or plan to attend an upcoming workshop. We’re here to help, and planning is ALL we do! Not a very successful plan then, was it? Even if you save taxes, avoid probate court and leave plenty of money for your family — what’s the point of a plan if the family ends up being broken apart? Effective estate planning is not just about financial issues. There are important non-financial issues that effective estate plans address. 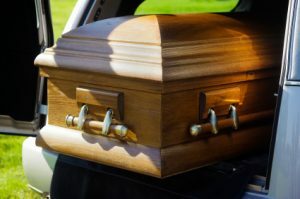 Funeral and burial wishes are one of those important non-monetary issues. Do you know what you want? Do you want to be cremated? Do you want a church memorial service or just a quiet, family-only graveside service? Does your family know what you want? If you know what your wishes are, then you should have conversations with your family about what those are. Where in your estate planning documents does it say what you want? A good estate plan should include your burial wishes, either in a legal document such as a “Disposition of Remains” or a letter written by you that is kept in a binder with your legal documents. Does the funeral home know your wishes? The absolute best way to plan is to talk to your funeral home about what you want. Take the stress off of your family by making those hard choices now. Want even more information? Check out www.StaabFamily.com, a local Springfield funeral home that has more good info on their site. Or read our article, 10 Things to Think About With Burial Instructions. Bridge Seems like a game for older people. Some people feel the same way about estate planning. Solitaire No need to round up more players, just grab a deck (or click a mouse) and you’re ready. Some people like to do planning by themselves. Too bad these “do-it-yourself” plans often end up creating more work for attorneys like me. Monopoly With our busy lives, who has the time? Some people just can’t find the time to protect their legacy with proper planning. Trivial Pursuit All the rage in the 80’s and a good game to humble even the best of us. Some put off planning because their lack of legal knowledge makes them feel dumb. But isn’t that why you hire the attorney? Sorry A game the entire family can play! Planning should be like this, with family discussions about what is most important in life. Kids who understand their parents’ plan will have much less stress when something happens. Chutes & Ladders Some people think of planning as something so boring it ranks 2 steps below a root canal (or this popular children’s game). Most of my clients are surprised that our planning meetings are so enjoyable and go much quicker than they expect. Mousetrap Remember those games that look fun but are just too much trouble? Some put off calling me because they think planning is so complicated they won’t know what to do. The reality? You already possess all the knowledge you need, and I will help you make the best choices that fit your family. “We don’t play games.” Sooner or later, your family will have to play the estate planning game. If you don’t plan ahead for your death or disability, your family will miss out. Get in the game! Call us to RSVP for our workshop, Aging With Confidence: 9 Keys to Wise Planning & Peace of Mind, or set an appointment at (217) 726-9200. 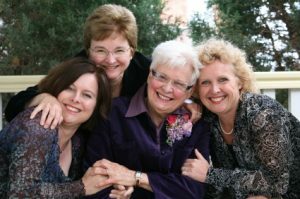 After losing a loved one, sometimes the question is, “Do I need to hire an attorney?” But maybe a better question to ask is, “Should I?” How would you benefit, as an executor or trustee, by hiring an attorney? How would your family benefit? Here are some reasons to hire an attorney to assist with the legal and financial details after a loved one’s passing. 1. To get your thoughts together. Sometimes just getting started is overwhelming. Maybe one meeting with the attorney will help set you off in the right direction. 2. You need legal help. Sometimes there needs to be court action through probate or addressing a legal dispute. In these cases, you do need an attorney, unless you want to wade into the legal system on your own. 3. To reduce your stress. When someone passes, there is business to take care of. I just mean personal business, the kind we all deal with in our lives. Paying bills, getting income, investing money, filing tax returns, etc. Some of these you could take care of on your own. But sometimes you may want to delegate them. At Edwards Group, we deal everyday with banks, investments, life insurance companies, and real estate questions. We know how to maneuver through all the asset transfers. We understand what those companies need, how their forms need to be filled out, how to get past a difficult customer service representative. Maybe you want to delegate some of that to us. 4. To get the job done right. Many people own annuities and IRA’s. Those are potential potholes for the family. Many times we have seen a family try to handle an estate on their own, only to pay tens of thousands of dollars in extra income tax that could have been avoided or delayed with some good legal advice. That’s just one example. In many families, the attorney’s fee will pay for itself in avoided legal, financial, or tax mess ups that could haunt you later. In addition, if you are the executor or trustee and you mess up something, the liability could come back on you later to repay the lost funds. 5. To reduce conflict. Even the closest families will have a potential for conflict after losing a loved one. The grieving combined with the stress in an unknown situation often results in siblings butting heads. In those cases, an attorney who can help guide the process and talk straight to a family member with unreasonable expectations is a big help. If you have lost a loved one, please contact our Client Coordinator at 217-726-9200 or at Tarina@EdwardsGroupLLC.com to discuss your situation and see how we can help your family. To read more about what to do after the death of a loved one, click here. What is probate and why do people want to avoid it? Public Process Your last will & testament, as well as the probate court documents, are all public record. Your nosy neighbor could go to the courthouse, or maybe just look online, to see where you are leaving your assets. She may also be able to see how much you were worth at death and where you owed debts. Delay Because of the court process and various required tasks (petitioning the court, publishing a claim notice, notifying family members, reporting to interested parties), there is additional delay before the estate can be finalized. 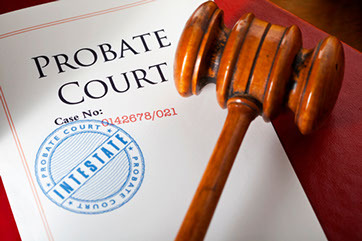 At a minimum, probate will usually take 8-10 months, and often takes 18-24 months. Expense Because of the additional tasks required by the court process, there is additional expense involved, both in paying the attorney but also in publishing notices and providing reports to the rest of the family. Reminders to Contest the Will One of the required probate steps is to notify the family of the last will & testament being admitted to the court. As part of this notice, all family members (who are legal heirs according to the law) are given notice of the proceedings as well as a reminder that they have the right to challenge the Will. The notice even gives them the deadline for challenging the Will and basic steps to be taken. So, the lack of privacy is an issue, not just with the nosy neighbor, but also with the family troublemaker who was purposely left out of the estate plan. To learn more about wills, trusts and other estate planning issues, check out the Wills and Trusts section of our website. http://edwardsgroupllc.com/wp-content/uploads/2010/03/probate-court.jpg 241 362 David http://edwardsgroupllc.com/wp-content/uploads/2014/02/USE-Logo-estate-planning-280x100.png David2010-03-08 19:41:592017-05-15 14:31:39What is probate and why do people want to avoid it? Peace of Mind: Can you access your important documents 24/7? I am writing this from Nashville, Tennessee, where I am on a family vacation. Every year, we spend a week with my parents, brother, sister in law, and nephew. Being out of town reminded me of an important part of planning for emergency health or disability issues. Suppose you work with me to plan for those issues, and we prepare healthcare powers of attorney and a living will. Then you are on a trip, maybe to Nashville or somewhere else out of state. If something happens and you end up in the hospital or emergency room, will you have access to your important legal documents? If the doctors ask for proof that your spouse or loved one has authority to make decisions on your behalf, will you be able to provide it? Will the doctors even talk to your loved one without written permission because of the privacy laws? Do you travel with copies of your powers of attorney and living will? If not, then if something happens you may not have access to the documents when you need them. When we are talking about legal decisions regarding healthcare or end of life issues, lack of access to the documents at the right time means the documents are worthless at that moment. If you don’t have immediate access to the documents you need, what are your options? Deal with it without using the legal documents. This means that your decisions and the helpers you have designated to carry out those decisions may not be followed, or at least won’t be followed as easily, quickly, or accurately. Try to get a copy of the documents from your attorney. Not a bad plan, but most law offices aren’t open 24/7. What if you are injured in the middle of the night during a holiday weekend? Or maybe you are in Hawaii with a big time difference and the law office is closed when you contact them? Our office is always glad to provide copies of documents, but we can’t guarantee we can get them to you around the clock. Neither of these options is adequate. So, how do we make sure that you have quick access to the documents when you need them? For our clients who are members of our Dynasty Program, we provide a membership to DocuBank. What is DocuBank? It’s a business that was created to help people have immediate access to their legal healthcare documents when they need them. They have solved the exact problem we are talking about. For an annual fee, DocuBank will get copies of your documents to you, anytime, day or night, no matter where you are. How does DocuBank work? As part of the planning process, our clients sign a DocuBank application that provides emergency contact info and important medical information. We then send that application to DocuBank, along with copies of the client’s healthcare power of attorney and living will. The client will later get in the mail a wallet card they can carry at all times that explains how to access those documents. By calling an 800 number or logging in to a web site and putting in a PIN # (that is listed on the wallet card), DocuBank will provide the legal documents within minutes, either via the web or fax. Check out more info at www.docubank.com. Do you know someone who would appreciate the kind of peace of mind that a DocuBank membership provides? Have them give us a call today at (217) 726-9200. Often we get calls from someone who is facing a mess because a loved one died and failed to plan properly. So, my advice is this: If you want to create a mess for your family, don’t leave it to chance. Do it right and plan the mess yourself. 1. Don’t organize your assets. Assume that what you own will fit in with your legal documents. Somehow, by accident, it will work out. 2. Don’t talk about what you are planning to do. Your wife and your kids (maybe from a previous marriage) can both assume they knew what you wanted. Leave it vague enough so no one really knows, and there is certainly no legal guidance for them. Also be sure to keep your financial situation secret, from your kids and even your wife. They don’t need to know yet. 4. Don’t pay for professional legal advice. Just do it yourself. Type up (or hand write) your own trust or will. Fill out those IRA beneficiary forms, and even customize them yourself without knowing the law. It’ll work out somehow. 5. Make promises to family members about what you plan to leave them. Then don’t do it that way. They will understand. I’m sure they won’t want to fight in court about whether your wishes were written down wrong or whether you were in your right mind. They will understand that you didn’t keep your promise. assume what they want to about what you plan to leave to them. 7. Don’t use a professional trustee such as a bank. You don’t want to spend money on something like that, where a professional will know how to get the job done and make sure that your wishes are carried out in a way that’s legal and proper. Much better to leave it to friends or family members who may not exactly know what they’re doing, incurring extra taxes or making messes that need to be cleaned up later. 8. Use your plan to give the family chances to learn to get along better. Create your plan in a way that creates conflict among your loved ones. For instance, name your spouse and a kid from a prior marriage as co-trustees. I’m sure they’ll get along well enough to be able to sort out your estate. 9. Name a family member as a trustee of the funds you leave behind for someone else. Put your trustee in a difficult situation after your death where they have to refuse to give some of your money to another family member, particularly when it’s someone from the other side of the family. And be sure not to give clear guidance about when and how that person should be able to access funds. This will put the maximum pressure on the trustee and increase the hard feelings of the person asking for the money. No matter how the trustee decides, someone will feel either mistreated or pressured. We are obviously being sarcastic. Sometimes the lack of planning we see can be really frustrating! I’d much rather the Probate/Trust Administration part of our firm not exist. (This is the part of our team that handles issues after someone dies.) Ideally, everyone would do effective planning ahead of time. I say it all the time — bad estate planning breaks up good families. So, give us a call today at 217-726-9200 to set up an Initial Meeting. Your loved ones will be so grateful when the time comes and you can have peace of mind knowing they are protected.